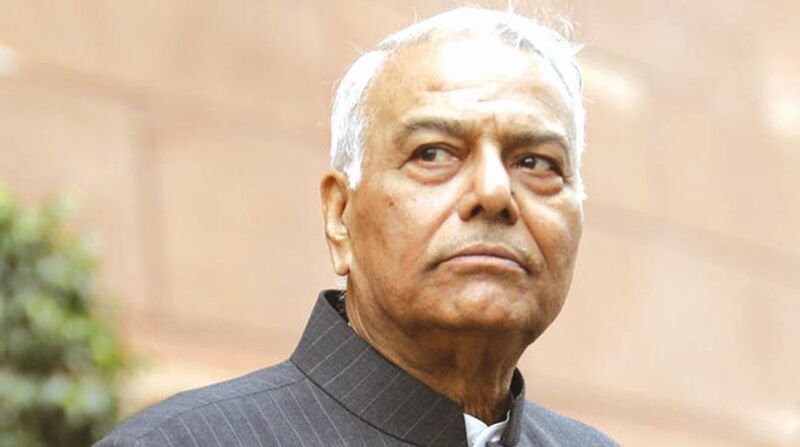 BJP rebel leader Yashwant Sinha has finally walked the talk with the launch of his Rashtra Manch. Although pitched as a non-partisan people’s platform to raise issues of national concern, the surround noise at the launch suggested that the Manch hopes to evolve into JP Movement 2.0. 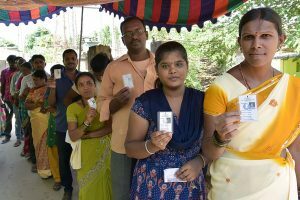 Sinha intends to concentrate on farmers’ issues for the time being because as the Gujarat assembly poll showed, there is tremendous unrest in rural areas thanks to low support prices for crops and the after effects of demonetisation. But then, Jayprakash Narayan too had started his odyssey in a limited way as the leader of a students’ movement in Bihar, protesting against price rise and mess bills at university hostels. As the movement took off, it spiraled into something much bigger and became a national protest against Indira Gandhi and her government which was seen as corrupt and anti-people. That’s when JP coined the term “total revolution’’ and panicked Indira Gandhi into declaring Emergency after a Rae Bareli court overturned her 1971 election from the constituency. As of now, Sinha has wisely refrained from announcing such grand ambitions. He was also careful not to pitch RM as an anti-Modi front. But the line-up at the launch was predominantly from the Opposition with parties like Trinamool Congress, Samajwadi Party, AAP and even the Congress sending their representatives to lend support to Sinha. Standing up there with Yashwant Sinha was the other dissident Sinha, Shatrughan. While Yashwant Sinha spoke cogently of larger issues and framed the aims and ambitions of the Manch in a mature manner, Shotgun appealed through emotion and drama. The film star was the perfect foil for his party elder. History has its own ironies. JP’s movement was against Indira Gandhi and the Congress and was supported extensively by the RSS and Jan Sangh which was the BJP’s earlier avatar. This time, it’s the other way around. The Congress is flirting with the Manch while the BJP is clearly the target because it’s the party in power. Despite his age and despite being a cancer survivor, Sinha intends to hit the road running. In December, he was out in Akola sitting on hunger strike with agitating farmers there. He was even arrested. In a couple of days, he’s off to Madhya Pradesh to join a farmers’ agitation there. And he intends to keep going from state to state to knit farmers across India together into a protest movement to demand a better deal. The question on everyone’s lips is this: what is the BJP going to do about the two rebellious Sinhas? Expel them and risk the danger of turning them into martyrs? Or watch helplessly as they rail against the government? It is interesting that Trinamool Congress boss sent her representative Dineshbhai Trivedi to the launch of Yashwant Sinha’s Rashtriya Manch but forbade him from attending NCP chief Sharad Pawar’s opposition party meeting the day before. Apparently, Trivedi was all set to go to Pawar’s residence where Opposition leaders met over evening tea when he received a phone call from his boss advising him to skip the meet. However, Mamata gave him the green signal to attend Sinha’s launch the next day. In fact, Trivedi has been part of the discussions for the Rashtra Manch from the very beginning. It seems Mamata has decided to throw in her lot with Sinha rather than Pawar. The Modi government is dispensing with the old to set new conventions and standards every day. The latest tradition to be dumped is the press interaction that the new foreign secretary has on the day he takes charge. It gives the media a chance to meet him and the top foreign policy honcho gets an opportunity to spell out his priorities and his vision for India in the community of nations. The new foreign secretary took over from S Jaishankar behind closed doors, without media presence. Even photographers and television camera persons were not allowed in. The ministry’s publicity division issued a photograph later in the day of Gokhale sitting at his desk. Media persons on the foreign office beat are wondering whether this is a sign of things to come. As it is, they are finding themselves squeezed out of the corridors of South Block. They are not allowed to meet MEA officials any more unless sanctioned by the joint secretary external publicity. Jaishankar used to hold background briefings on key issues but only to a select crowd of journalists. Correspondents fear that Gokhale may not even do this, if his first day is an indication of a closed door policy to the press. It is regrettable that the current government is so tightlipped. All previous governments have encouraged bureaucrats, especially those in the MEA, to speak on background to the media. It’s a way of putting out the government’s views on key foreign policy challenges. This is important with relation to Pakistan where the government frequently feeds its media with anti-India propaganda. While the publicity division will continue to hold official briefings, the importance of backgrounders by desk officers should not be ignored. They are a vital part of foreign policy engagement because, among other things, backgrounders (in which the official concerned cannot be quoted) serve to counter misconceptions created by interested lobbies in foreign capitals. It seems Rahul Gandhi is enjoying his new status as Congress president. His party may have frothed at the mouth because he was given a seat in the sixth row at the Republic Day parade, but Rahul himself appeared quite unconcerned. He sat through the entire parade and looked to be enjoying the spectacle. Later that evening, he was among the first to arrive at President Kovind’s At Home reception in Rashtrapati Bhavan and was also among the last to leave. He spent his time chatting to diplomats in the VIP enclosure. He also stepped up to the security ropes to chat with media persons. This is quite a different Rahul. He used to keep away from informal interactions. His “handlers” would curate all his interactions, whether with academicians, foreign policy experts, journalists or social scientists and writers. These days, he plunges readily into impromptu chats and looks comfortable.